Technology trends are driving an evolution of modern media workflows, including higher resolution imagery, higher frame rates, higher dynamic range, wider color gamut, and simply more cameras per shoot. Their impact on the digital storage required to capture, process, distribute, and archive this richer digital video content is significant. The David Fincher film, Gone Girl, generated about 500 hours of raw footage during its multi-camera 6K (4:1) Red Dragon production, the equivalent of about 261TB of storage. Back in 2009, James Cameron’s Avatar was hailed as the first movie to break 1PB of total video production content. Five years later in 2014, The Amazing Spider Man 2 required 2.4PB of storage to scan from film to 4K 1. Larger productions are coming and future workflows managing hundreds of petabytes of content are expected in the next ten years. 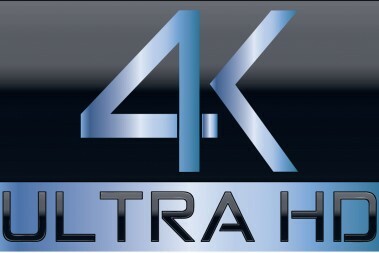 Leading the trend is higher-resolution content, with 4K becoming commonplace and early work beginning with 8K content. Another trend is higher frame rates with displays at 48 or 60 frames per second (fps) and 4K capture up to 120 fps or higher in specialty cameras designed for slow-motion capture. Cameras and display devices are sporting higher dynamic range and an expanded color space, providing content that looks even more lifelike.